What is dental attrition and what is the cause? Dental attrition is a type of dental wear caused by tooth on tooth contact. The contact can affect cuspal, incisal and proximal surfaces of the tooth. Tooth wear is often seen as a normal part of aging. Attrition, abrasion, erosion or a combination of these factors are the main reasons for tooth wear in elderly people. There are two types of tooth wear, pathological or physiological. Physiological is commonly seen in older patients. Advanced and excessive wear and tooth surface loss can be defined as pathological process, which require dental treatment. This can be caused by many factors and one of them is parafunctional habit such as bruxism or clenching. Attrition can also be caused by developmental defects, hard or rough-textured diet and absence of posterior teeth support. In cases when the natural teeth occlude with ceramics restorations, attrition of the natural teeth is very common. In addition to other occlusal factors edge-to-edge relation of incisors, unilateral buccolingual cusp-to-cusp relation have been also identified as factors which are affecting occlusal wear. Main consequences of dental attrition are the loss of tooth anatomy, tooth discoloration, compromised periodontal support, loss in posterior occlusal stability and mechanical failure of dental restorations. Attrition can alter occlusion due to decreasing occlusal vertical dimension by loss of tooth structure. In some cases when the attrition is severe, the enamel can be completely lost and underlying dentin is left exposed. 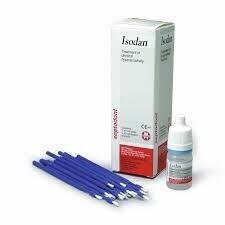 Exposed dentin is more prone to dental caries and dentin hypersensitivity. Diagnosis and also differential diagnosis between pathological and physiological attrition is very important. With early diagnosis dental attrition can be catch in its early phase, when it still has not progressed past the point of restoration. Diagnostc procedure for dental attrition inlude temporomandibular joint function and associated musculature, orthodontic examination, intra oral soft tissue analysis, hard tissue analysis, location and severity of tooth wear, social history and amnesics about patients diet. Prevention and early diagnosis play important role in keeping good oral health in patients with bruxism. 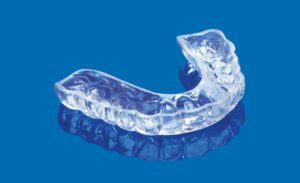 When a diagnosis of bruxism has been confirmed, it is recommended that the patient get a full-coverage acrylic occlusal splint. This splint will prevent further harm caused by bruxism. These patients must be monitored closely, and evidenced with clinical photographs every six mounts to one year. This will help clinician to evaluate tooth surface loss. In cases when the tooth surface loss is severe or if there has been advanced loss of tooth structure cosmetic or functional intervention will be needed. The first phase of treatment involves treating any associated conditions, such as fractured teeth or sharp cusps or incisal edges. These can be done with restoring and polishing sharp edges. Dentist can also apply desensitizing agents such as topical fluoride varnishes, and recommend at home desensitizing toothpastes. If the tooth structure loss is severe then the treatment is usually some kind of dental restorations. Depends on the case, this can be done with composite restorations, metal restorations, removable partial dentures or dental crowns and bridges. The decision to restore the damaged teeth depends on the wants and needs of the patient, the progression of tooth surface loss and whether tooth surface loss is active or inactive.